Bunga Tunjung/Alas/Small Lotus has many benefits for human body medication, this plants also called in latin name is Nymphaea lotus L and easy to found in southeast asia. Local Name: Tarate kecil, tarate orangutans, teratai putih (Indonesia); teratai bodas, teratai said (Sunda) . 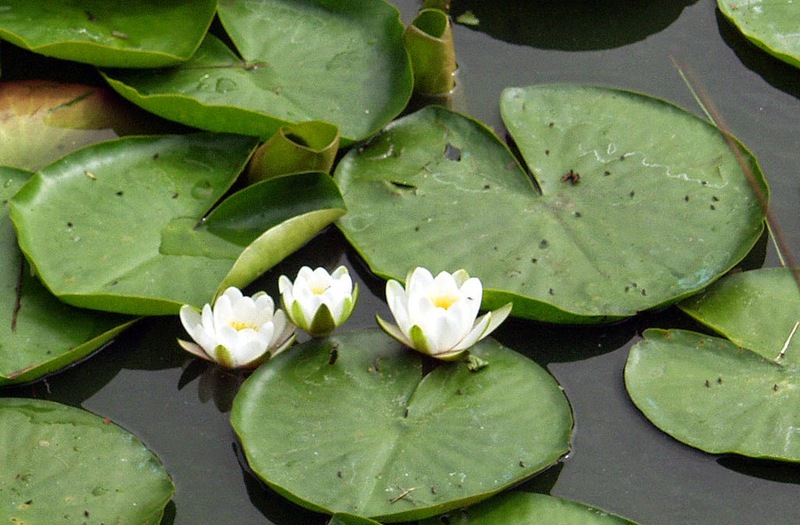 Water or marsh plants, grows wild in the shallow puddles or reared in ponds as an ornamental pond in the park. Originally from Africa. The leaves and flowers out of the roots in the ground rhizomes that grow up on the water surface. The leaves float on the water surface, while the interest on the shallow water appears on the surface of the water. Seizures, fainting, drunk alcohol, ulcers, inflammation, tumors, ulcers; Diabetes. Pulmonary tuberculosis, suppress sexual function. Flowers, roots. The use of fresh or dried. - Fainting due to heat (heat stroke). - Pressing sexual function (anaphrodisiac). - Skin diseases such as ulcers, inflammation, tumors and ulcers. To drink: Flower petals 3-5, 6-9 g of root, boiled.